Hope your day is coming along fine. I am a bit stuck with a few decisions to make and am unable to concentrate properly on all other things such as my daily skin care routine. all this mess has taken it's toll on my sleep schedules leading to a not so healthy complexion. Now all other things apart I cannot bear to have things popping up on my face I remembered this oil control face wash from Himalaya, which was a free gift from Violetbag during a recent haul. So, let's see what it did for my skin and how was the overall experience. Price: INR 40 for 50 gm of the product ( I got this for free). Normal flip top packaging with the product contained in a see through squeezable plastic tube. 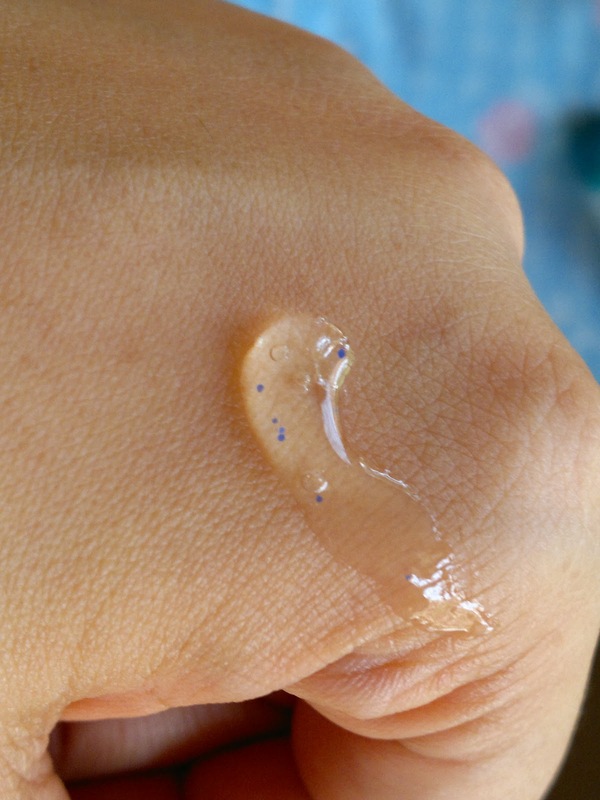 I was pleasantly surprised by this face wash. As you can see from the swatch above the face wash has small blue beads which perform a mild scrubbing action on the face before dissolving into oblivion, the beads are not harsh at all and would work fine. 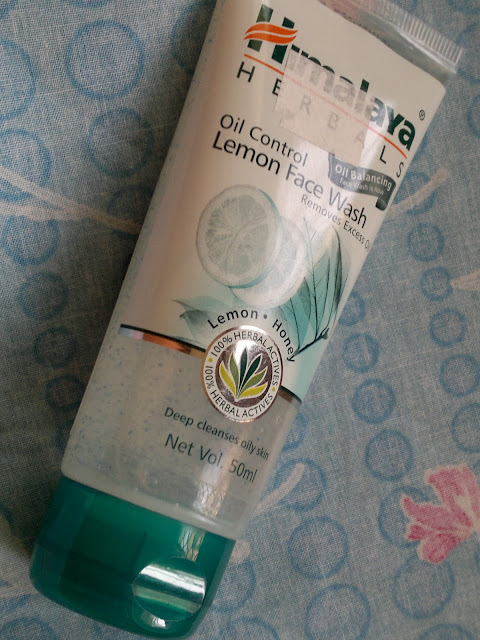 Even though the face wash is meant for oily skin, I didnot experience over drying of my facial skin after using this face wash. Also, the face wash lathers up quiet well and a small quantity is enough to wash the entire face. I think this 40 gm tube would esily last me a month. Some gel face washes which I have used in the past though were pretty good, didnot lather very well, and this one is just perfect in terms of lather and cleansing. 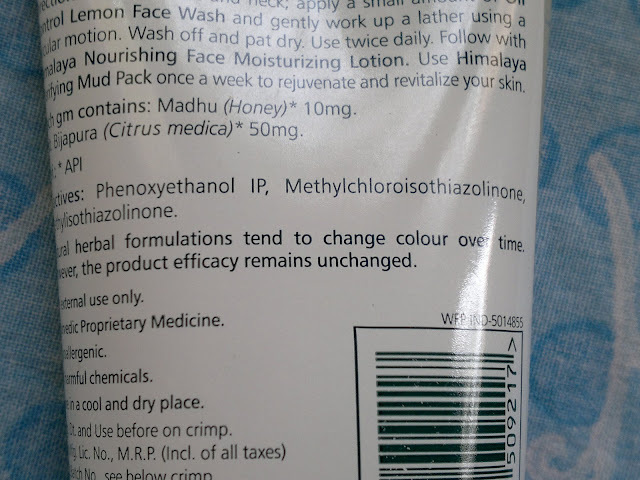 Since I have normal skin which is a bit oily in summers, I have not noticed this face wash helping in oil control in any way. 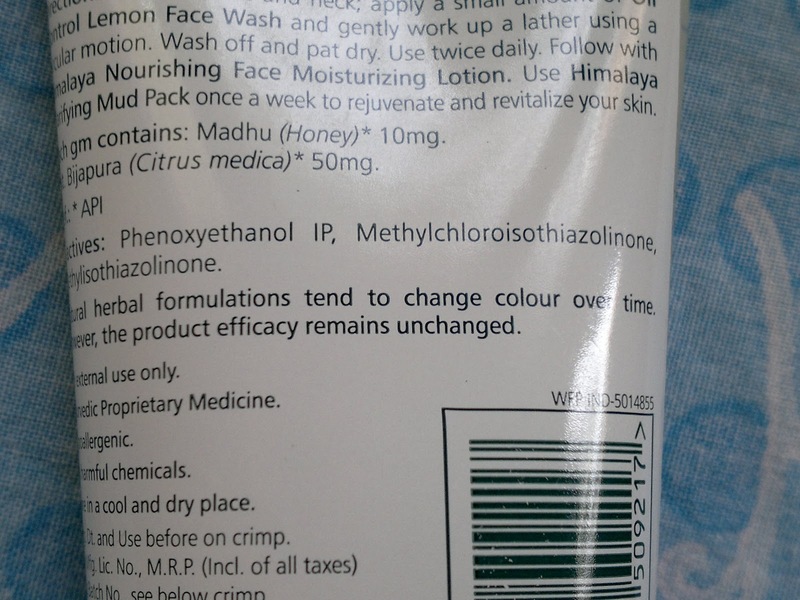 So, overall a decent face wash but it would not help in oil reduction as per my experience. Product rating: B+, available at all drugstores and online shopping websites. Would recommend to all looking for a decently priced face wash though not specifically for oil control. Personally would not buy this again, as I love trying out new face washes always. what are the blue blue grains ? ?